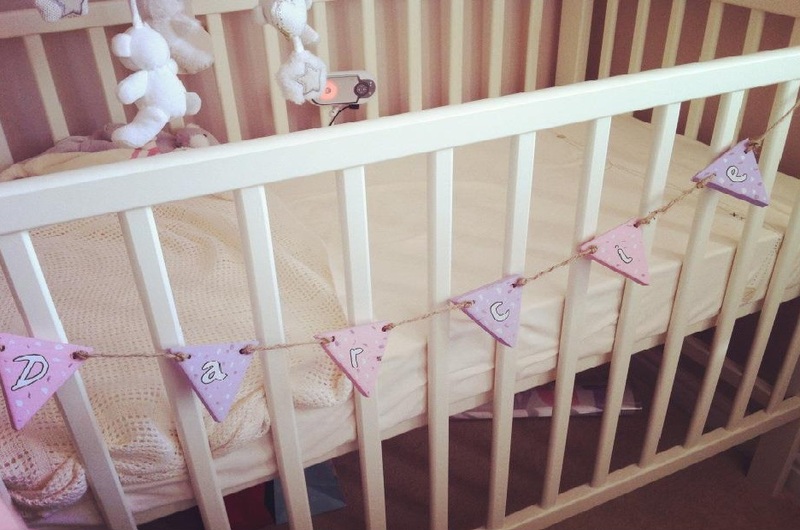 A Great Idea to Jazz up a Nursery! I have really been enjoying going to my local mother and baby group, Little Ducklings, and last week we started a little Craft project that I thought I would share with you. One of the lovely Mummys is very crafty and brought in the materials and showed us not so creative lot this really easy and lovely idea for our little ones rooms. Its a really easy wooden bunting!! Her Husband cut off the pieces for us and drilled the holes then we were left to paint and design and then string the buntings!! Super easy and they look lovely! !